Depraved true burgers ain’t your daddy’s patty on a bun. The upstart yankee team that revolutionized barbecue with their disenchanted win on the jack daniel’s world championship invitational turns their skills to burgers. Depraved precise burgers fearlessly includes new strategies, inspirations, and components to take the burger to the next degree—whether or not it’s the meatloaf burger on pretzel bread with cabernet mustard or the island creek burger with oysters and home made cocktail sauce. You’ll study the art and technological know-how of freshly grinding meats—from red meat to lamb to goat—for the final juicy burger as well as cooking methods along with smoking, grilling, griddling, and sous vide that impart distinctive taste. Award-winning pit master Andy Husbandsbegan developing his own unique style of cooking upon opening Boston’s Tremont 647 in 1996 and later, Sister Sorel. His latest culinary venture, The Smoke Shop, culminates Husbands’ continued success and pays homage to his extensive background in the competitive barbecue circuit. Husbands’ honest, approachable fare has earned him praise from The Boston Globe, Boston Magazine, Wine Spectator, Star Chefs, and others. He has competed on the sixth season of FOX Television Network’s fiery Hell’s Kitchen and is internationally-recognized for his BBQ team IQUE BBQ, who became the first New England team to win the World Champions of BBQ title in 2009 at the Jack Daniels World Championship in Tennessee. He is a large contributor to Share Our Strength, an active board member of the Massachusetts Restaurant Association who acknowledged him as the 2014 Chef of the Year, and a Rodman Celebration Restaurant Chair. He has also co-authored several cookbooks including Wicked Good Burgers, Wicked Good BBQ, Grill to Perfection, and The Fearless Chef. Chris Hart, winner of the Jack Daniel Invitational World Championship in 2009, has dominated the competition BBQ circuit for the past 10 years with his team, IQUE. The team was the first group of Northerners in barbecue history to win a World Championship. Chris spends his days developing software, but his passion for cooking barbecue has him following the competition BBQ trail on weekends, pitting his talents against the best pitmasters in the U.S. Chris has cooked multiple barbecue tasting dinners at the James Beard House in NYC. He has appeared on the TV show BBQ Pitmasters, and is a Food Network Chopped Champion. 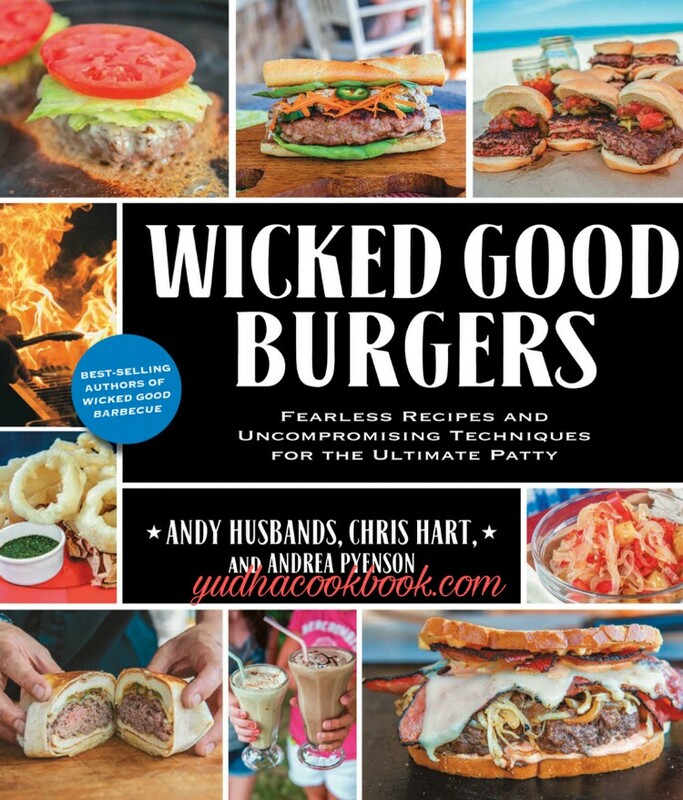 He is coauthor of Wicked Good Barbecue, Wicked Good Burgers, and Grill to Perfection. Andrea Pyenson has been writing about food for more than a decade and enjoying it for a lot longer than that. Her writing about food and travel has appeared in The Boston Globe, edible Boston, edible Cape Cod, msn.com, oneforthetable.com, The Washington Post, and Fine Cooking, among others. Pyenson was associate editor of The Boston Globe Illustrated New England Seafood Cookbook and assistant editor of 52 Weeks Cheap Eats: Dining Deals in Greater Boston.